- Clancy Sigal, author, Weekend in Dinlock, Going Away and Hemingway Lives! Birth of a New Workers’ Movement of Death Throes of the Old? Between 2008 and 2010, the progressive wing of the U.S. labor movement tore itself apart in a series of internecine struggles. More than $140 million was expended, by all sides, on organizing conflicts that tarnished union reputations and undermined the campaign for real health care and labor law reform. Campus and community allies, along with many rank-and-file union members, were left angered and dismayed. 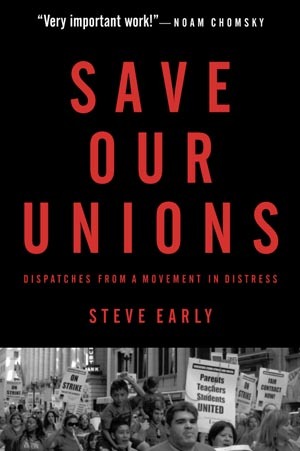 In this incisive new book, labor journalist Steve Early draws on scores of interviews and on his own union organizing experience to explain why and how these labor civil wars occurred. He examines the bitter disputes about union structure, membership rights, organizing strategy, and contract standards that enveloped SEIU, UNITE HERE, the California Nurses Association, and independent organizations like the Federación de Maestros de Puerto Rico and the new National Union of Healthcare Workers in California. Along the way, we meet rank-and-file activists, local union officers, national leaders, and concerned friends of labor who were drawn into the fray. 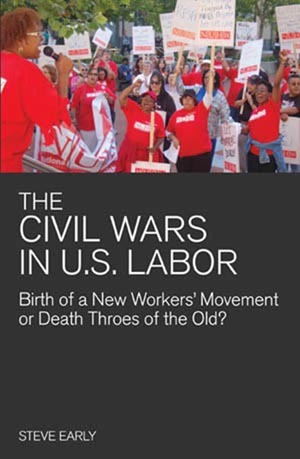 "Civil Wars is as lively as it is detailed... [providing] insights into just what the labor movement can become when democracy takes hold and members get active. It will infuriate some, but inspire many more to build and transform their unions." “Early's journalism is powerful because he has been in the trenches himself fighting to organize workers and make unions more democratic. This book is a must read, particularly for young organizers trying to make sense of contemporary American trade unionism." 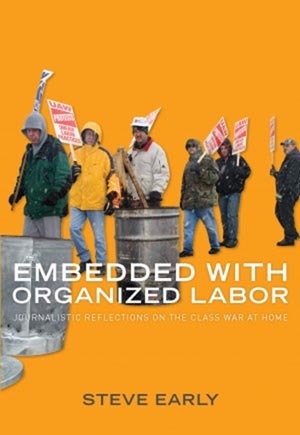 "Steve Early is not just another scholar situated outside the labor movement. For more than thirty-five years, he helped do the hard work of organizing and collective bargaining. His latest book confirms that there is no one with a better understanding of contemporary union problems. When he warns about the dangers of undemocratic practices, sweetheart deals with employers, and over reliance on the Democratic Party, we had better listen." - Immanuel Ness, professor, Brooklyn College, CUNY, editor, WorkingUSA and author, Immigrants, Unions and The New U.S. Labor Movement.